BANDAR SERI BEGAWAN, Sunday, December 7, 2014 - HAVING a family-friendly environment, along with a conducive working environment, can strengthen the family, said the Minister of Culture, Youth and Sports (MCYS). Yang Berhormat Pehin Orang Kaya Pekerma Laila Diraja Dato Seri Setia Hj Hazair Hj Abdullah joined other ministers from the East Asian Region to speak on issues relating to the family during the recently concluded 6th East Asia Ministerial Forum on Families (EAMFF). In his statement, YB Pehin Dato Hj Hazair said recognising the influential impact of a cohesive and resilient family is important in shaping future generations to contribute meaningfully to the community, society and national development. He said that an appreciation of family values should be instilled at an early age through the school curriculum, adding that Brunei has already made steps to ensure that such values are included in the school curriculum and the National Youth Service Programme. The minister reiterated that the strengthening of the family institution with a family-friendly social environment has always been a part of the sultanate’s development agenda as reflected in Vision 2035 along with the National Development Plan. The creation of such an environment would enable members of society to further harmonise and strengthen their work-family balance as well as sharing the responsibilities of raising children and supporting families at a social level, read the statement issued by the MCYS. A conducive working environment and regulations in the workplace are factors that Brunei has taken into consideration where, as a result, Brunei has introduced various regulations and programmes to promote work-life balance said YB Pehin Dato Hj Hazair. The two-day ministerial forum carried the theme, ‘Creating Family-Friendly Social Environment’ and it saw the participation of ministers from Cambodia, China, Indonesia, Japan, Laos, Malaysia, Philippines, Thailand, Timor Leste, Vietnam and host country, South Korea. 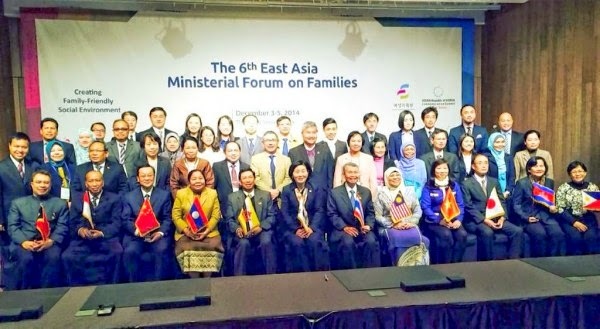 The forum adopted the Seoul Declaration that outlined 12 operative action lines to strengthen and support efforts towards creating a family-friendly social environment where the ministers agreed to consolidate the EAMFF and the East Asia Gender Equality Ministerial Meeting in 2016. BANDAR SERI BEGAWAN, Friday, December 5, 2014 - BRUNEI places high priority in the strengthening the family institution, the Deputy Minister of Culture, Youth and Sports said. At the World Family Summit + 10 in Zhuhai, China, Datin Paduka Hjh Adina Othman said along with other countries, Brunei is also conscious of the fact that family is an essential part of life and is at the forefront in supporting the community and nation. As part of efforts to create balance between jobs and family responsibilities, Datin Paduka Hjh Adina said Brunei has taken various measures to deal with the issue. One such measure is the Work and Family Balance Programme, which is a workshop recently launched involving both males and females, focusing on many major issues such as parenting and communication skills, time management and financial management. Speaking at the ministerial roundtable session, she said the family structure in Brunei has developed a system of family life, where members help and support each other. She explained that Bruneians largely adhere to the traditional way of life, where in an extended family, the parents, children, grandparents, uncles and aunties continue to live under one roof. The deputy minister noted family members have come to realise their respective roles and responsibilities toward each other in the family institution. She added such family units have contributed towards the strengthening of the family institution, thus creating a stable society in Brunei. Regarding continuing to strengthen the family institution, Datin Paduka Hjh Adina said a National Plan of Action towards the promotion and protection has been made by a Special Committee for Family Institution and Women under the National Council for Social Issues. This action plan focuses on a number of major issues including the strengthening of the family institution, work life and family Balance, family and livelihood, family and law, family and health, and family and education. According to Datin Paduka Hjh Adina, the action plan will be carried out by means of deliverable milestones, and the project and programme implementation will be monitored by key performance indicators. In appreciation of the role played by the family institution, Brunei has declared the first Sunday of the month of May each year to mark its National Family Day. The event, she said, held for the first time in 2012, involved all levels of society in the Sultanate ranging from government agencies, the private sector, to organisations and associations. In line with the theme of the summit, “Families in Balance: Building The Future We Want”, and in conjunction with the achievement of the Millenium Development Goals (MDG), Datin Paduka Hjh Adina spoke on Brunei’s success in meeting the MDGs. She said almost all the goals were accomplished, especially in health and education. 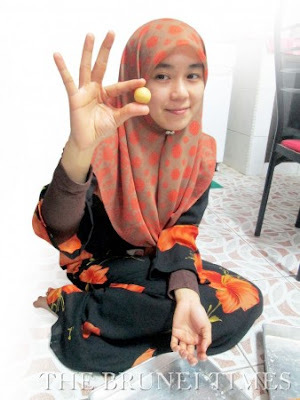 In regards to education, more than 95 per cent of Brunei children have access to primary school education. Having taken various measures, the literacy rate in the Sultanate has continued to improve. In the field of health, Brunei has been classified as one of the first countries to reach the NDG target. 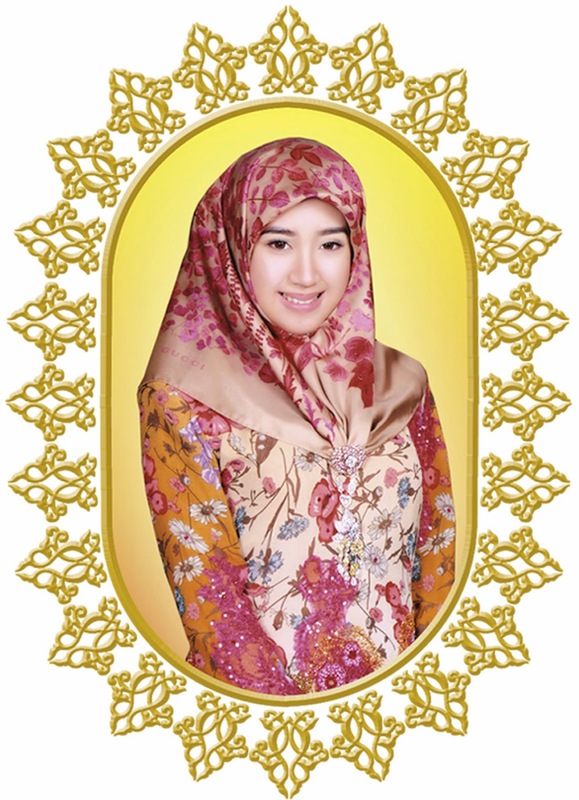 She said this accomplishment was a result of free health services provided by the government of His Majesty Sultan Haji Hassanal Bolkiah Mu’izzadin Waddaulah, Sultan and Yang Di-Pertuan of Brunei Darussalam. 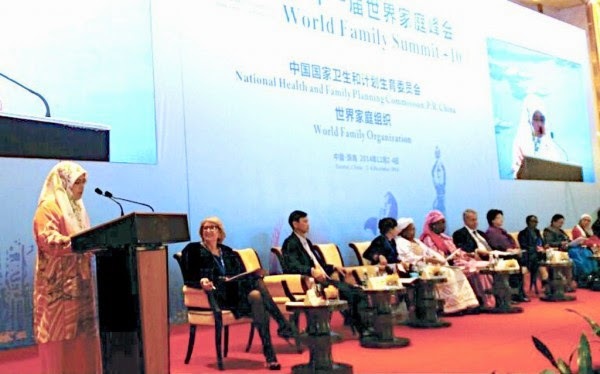 The World Family Summit + 10, organised by the Ministry of National Health and Family Planning Commission, China, and the World Family Organisation (WFO), was held for three days. The 10th World Summit was attended by about 300 representatives from 67 countries, including 12 heads of delegations at the Minister, Deputy Minister and Permanent Secretary levels from Greece, Madagascar, Mali, Nepal, Niger, Burundi, Cambodia, United Arab Emirates, Vietnam, Mynamar, Turkey and Brunei.